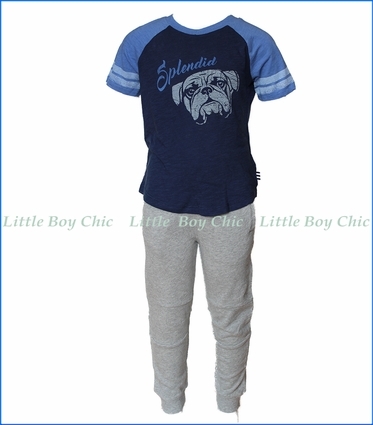 This short sleeve top and athletic pant set is cute and casual and is an everyday essential two-piece set with a short sleeve raglan tee and comfy sweat pants. Buttery soft knit top with vibrant navy color featuring a cute bulldog graphic. 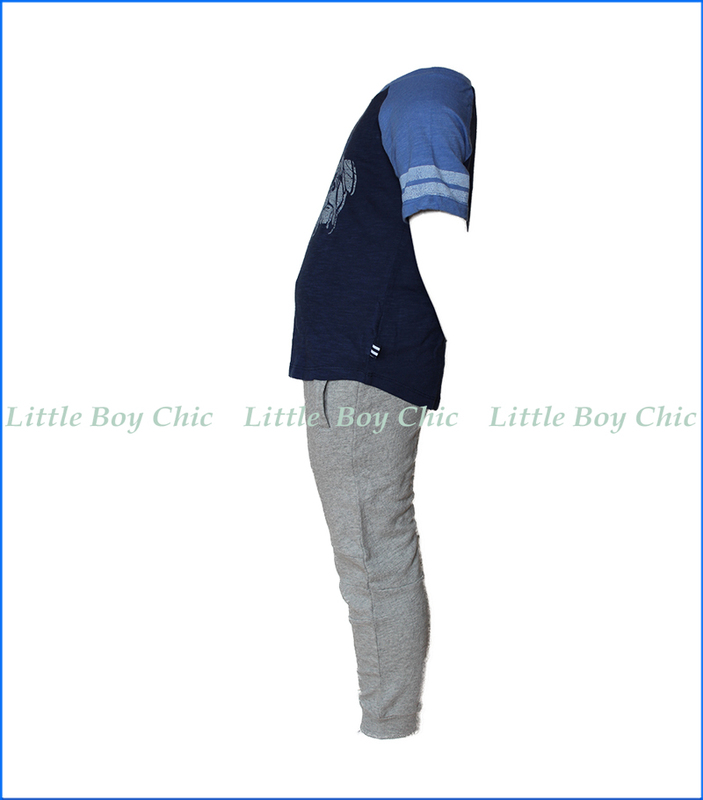 Infant sizes (3M - 24M) have snap closing back neck for ease of changing the splendid little one. The pull-baby french terry pants have an elastic waistband and three pocket styling. Ribbed knees and elastic cuffs. Woven label on top and bottom side seams.